It seems every time I turn around, another friend or family member is welcoming a new baby to the world. My inbox is flooded with baby shower invitations, and I try to give each new mom a unique gift suited to her situation. Doing that on a shoe-string budget gets tricky, but I’ve found some great ideas over the years. Babies get unexpected boo-boos just as often as big kids do. Often, new moms may not be as well prepared as seasoned moms for their babies’ first owies. Whether that owie is a diaper rash, a nail-clipping session gone wrong, or a bump on the head when baby rolls over a little too close to the coffee table, Mom will definitely appreciate your gift. 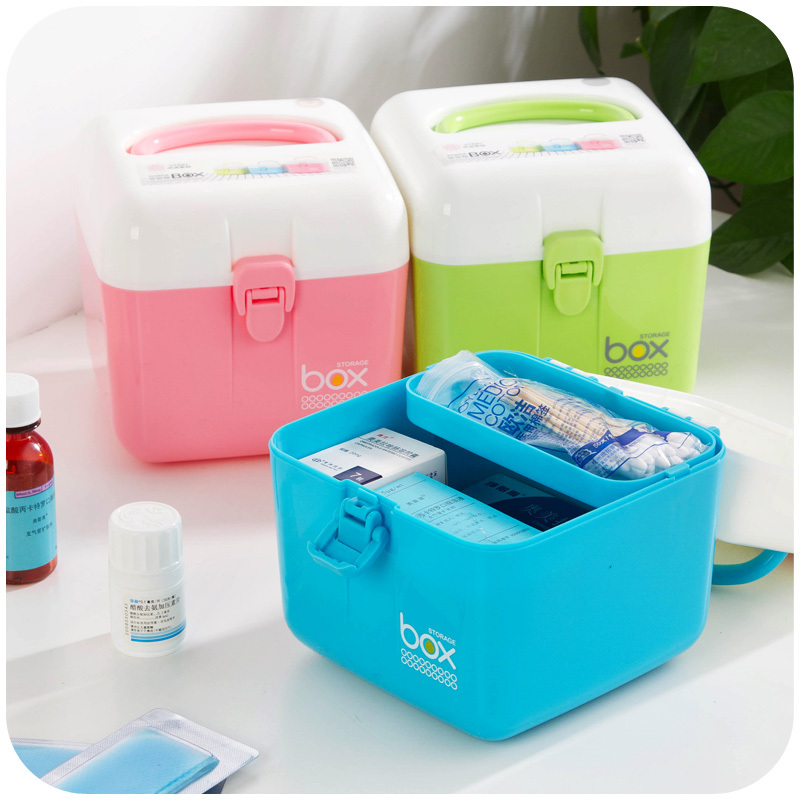 Your first-aid kit can include diaper rash cream, bandages, baby powder, thermometers, and much more, most of which you can get from your local dollar store. Get started with ideas from @rookiemoms. Let’s face it, life with a newborn is exhausting. Between the interrupted sleep (if Mom is lucky enough to get any at all), the constant diaper changes, and the general exhaustion from that whole “giving birth” thing, new moms don’t have a lot of time on their hands to do much else. 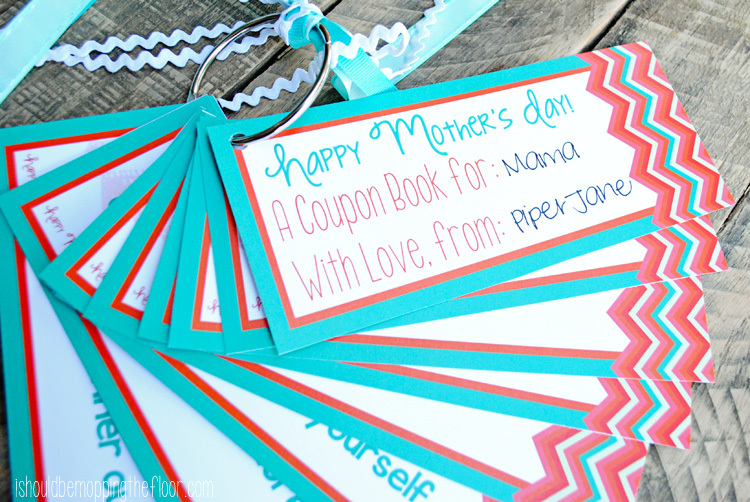 A unique yet valuable gift, Mom’s Helper Coupons can consist of things such as “One Night of Babysitting,” “One Free House Cleaning,” “One Dinner Prepared/Delivered,” etc. Trust me, these will be invaluable to a sleep-deprived new mom. For cute ideas to get started, check out this Pinterest board. This idea might work best shortly before or directly after the baby is born, although most women in their final days of pregnancy wouldn’t say no either. You can either buy some pre-cooked meals from your grocer’s freezer aisle or throw together a few simple meals yourself. Just cook, pack and then freeze meals before delivering to the new mom’s freezer. Don’t forget to include reheating instructions. Not sure what to bring? Check out The Military Wife and Mom (@themilitarywifeandmom). My kids love to be read to and I started reading aloud to them from before they were even born. There’s just something about the written word that calms and comforts children. Reading with parents also helps to build a life-long love of learning. You can’t go wrong with a baby shower gift of books, and you can often find great books at dollar stores, thrift shops, or yard sales, too. @PriddyBooks is a great starting point for ideas. Because feeding baby often takes up a good portion of those first days as a new mom, a baby feeding basket can often be a well-loved, well-used gift. I remember those early days, glued to the couch with a newborn. I wish someone had thought to do this for me, but I’ll certainly do it for the next new mom I know. This one might vary depending on whether or not Mom plans to breastfeed, but the general idea is the same. Include water bottles (preferably a reusable one), a book (or twelve, no judgment here), a gift card for iTunes or some other form of entertainment, and anything else you can think of that might come in handy. To get started, visit the DIY Network (@DIYNetwork) for more creative ideas. Mom doesn’t get anywhere near enough pampering after the baby is born, and a gift certificate to the spa for a massage might be just the thing she needs. Mom not a spa person? Get her a gift certificate to her favorite bookstore or coffee shop. Maybe let her cash in one of those babysitting coupons from earlier so she can get coffee on her own—she’ll definitely appreciate it! Not sure what gift certificates to give? Find some great ideas on Twitter using @GiftCards_com, or visit the Gift Cards website. Diaper cakes are a pretty standard baby shower gift these days, but no less appreciated. To lower the cost, go in on this gift with a few other friends. Check out this video on YouTube for a how-to guide. 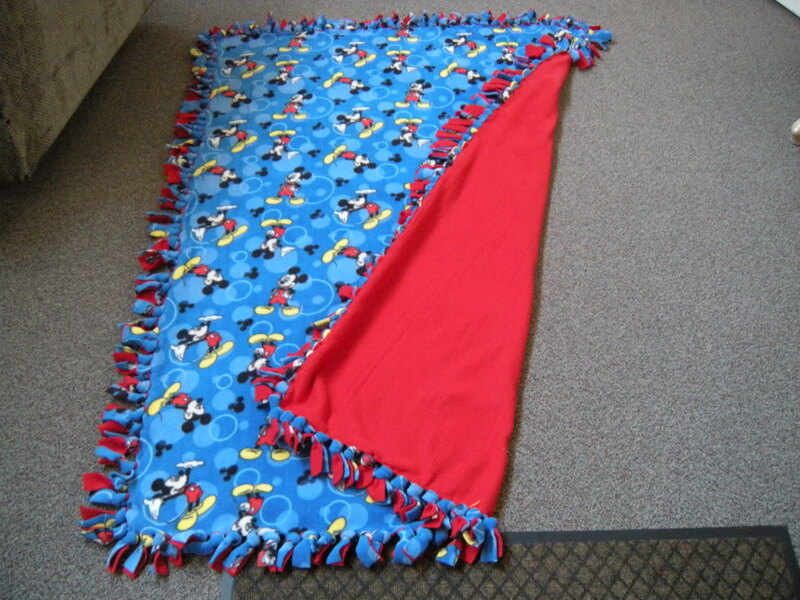 All five of my kids were gifted no-sew fleece blankets as newborns. My six-year-old still has his, and it still means the world to him. They are so warm and cozy! You can get the fabric from any craft store, and if you watch their sales, you can save a bundle on it. 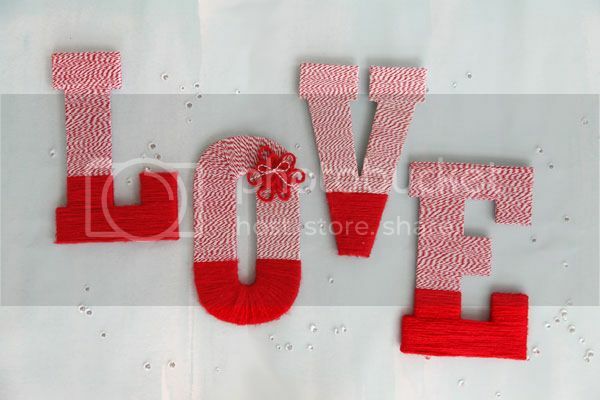 @LinzDeFranco has a video tutorial to help you with this cozy gift. Mom and Dad usually have a good idea of what baby’s name will be, and even if they won’t share the whole thing, maybe you could get them to share the first letter. If not, use the first letter of their last name for this super cute idea. Follow this video tutorial to make this unique gift for baby. 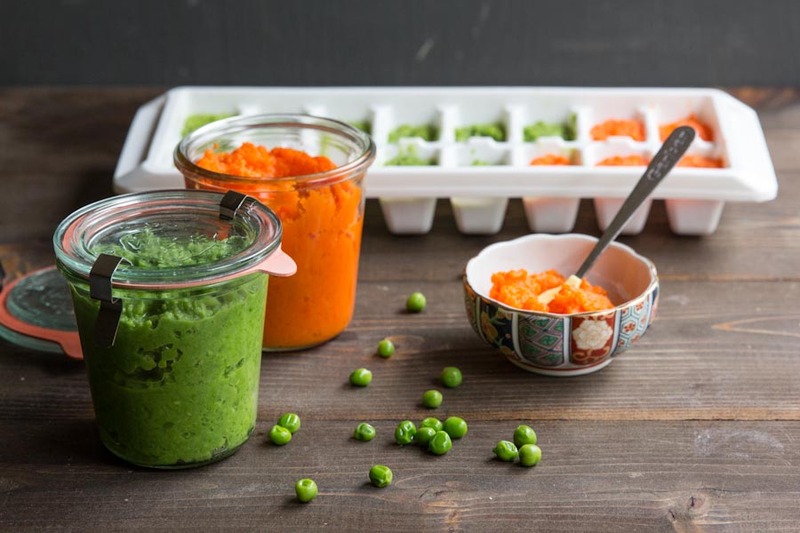 The American Association of Pediatricians recommends baby to be at least six months old before beginning solid foods, but that doesn’t mean Mom can’t freeze a few jars to start with. You can either purchase jars of baby food from your local grocery store or try making your own. For some great ideas, check out this awesome list of recipes and advice on Momtastic (@wholesomebaby). Mom will appreciate the help and baby will appreciate all the yummy food he gets to try out. My mother-in-law opened an account for us at our local children’s consignment shop when our first child was born. That was hands down the best gift she’s ever given us! Kids grow so fast; you can’t always keep up with them. 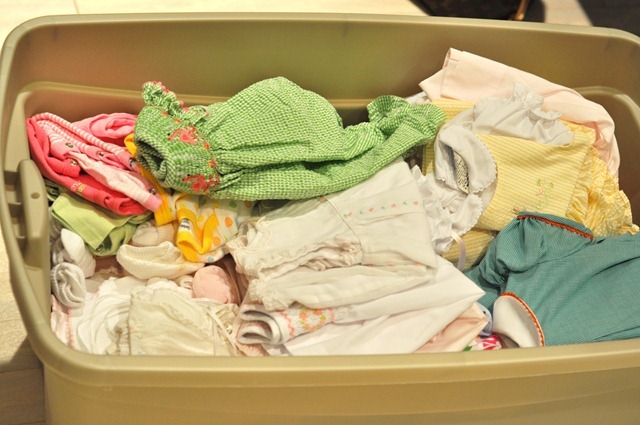 Simply bring in an item or two that your child (or even you, as many shops take maternity clothing and various breastfeeding related items) has outgrown to your local consignment shop to get started. If you’re opening the account for a friend or family member, be sure to provide their name and number as the account holder. @ConsignMommies can help you find a consignment shop in your area. Finally, here’s one that won’t cost you a thing…except maybe a bit of the clutter at the back of your closet. My youngest is going to be one in a little over a month, yet I still have a box of newborn clothes in his closet. Some of those darling onesies can be passed on to the next newborn in your circle of friends, so don’t be afraid to break out the hand-me-downs, especially if you have some unique ones. Baby showers are so much fun, especially since finding the perfect gift for the new mom and baby can be an adventure. I hope this list helps at your next baby shower! Do you have any gift ideas of your own? Did you get any gifts at your baby shower that you loved, but aren’t listed here? Let us know in the comments, and don’t forget to share.